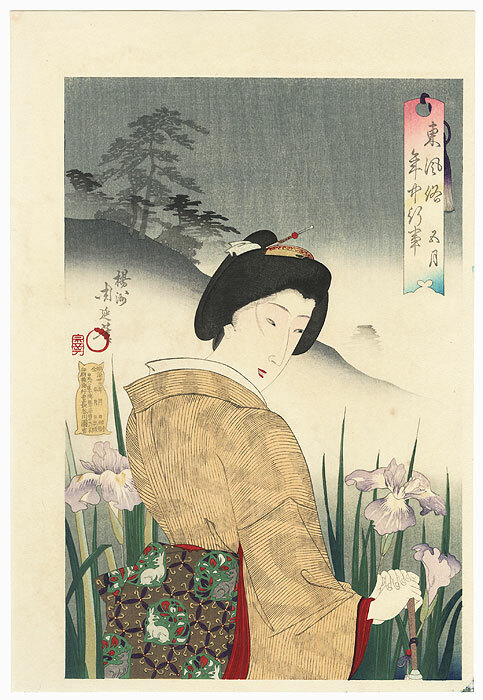 The Fifth Month - Lovely design of a beauty strolling through an iris garden during the fifth month. She smiles happily as she admires the delicate lavender blossoms among slender green leaves. 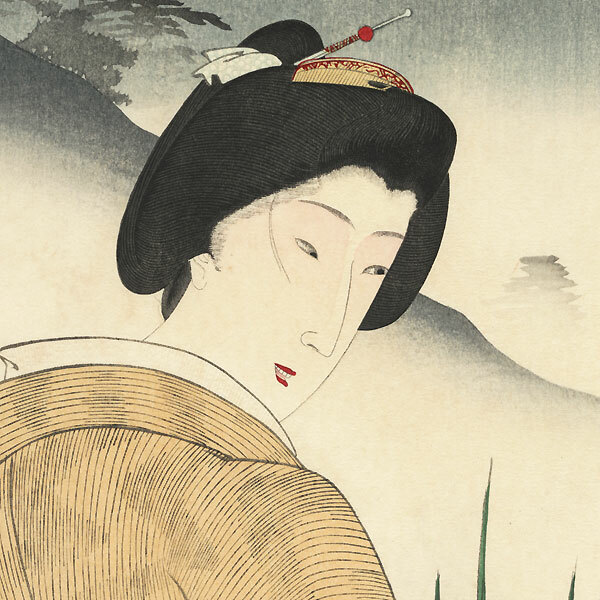 Her golden yellow kimono has a subtle striped design, tied with a colorful obi patterned with rabbit motifs. The background features pine trees in silhouette atop a softly shaded hillside, the sky darkening as evening begins to fall. 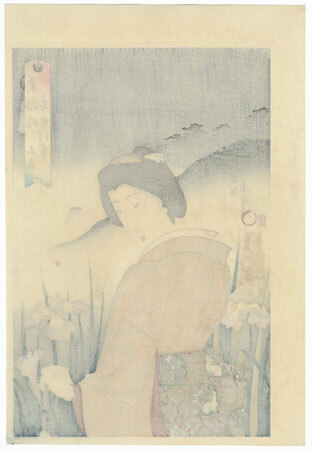 A beautiful image with wonderful fine line work and shading, and delicate embossing in the white kimono collar. A subject rarely seen in reprint, published in 1977 by Sodosha in Tokyo. Condition - This print with excellent color and detail as shown. A few small spots. Please see photos for details. Good overall.